Spencer Packer is a man who sees himself as an all-around good guy. Raised in the Midwest and taught to judge people not based off of their race and color, but off of their actions. Or so he believes. After a brutal attack, his beliefs are tested and his life is changed forever. Journey with Spencer as he now faces the world as The Werenigro. A creature whose abilities and strengths are pushed to their limits as he learns the truth about what he has become and is forced to see the world around him for what it truly is. Good read hope theirs a part 2. I initially purchased the Werenigro by Aron Ramses because the tile was catchy. i wasn't sure what to expect, but i figured it would be a book about a black man turning into a werewolf which within itself has never been a story explored. Instead I was amazed that Aron Ramses has taken a chance writing a tale that would be relevant to the politically correct times we now live in where race is a hot button topic of conversation. Also, no major publishing house would ever be brave enough to allow a story such as this to be told. Instead I found that it is a very interesting tale of a white man who believes he is liberal and nonjudgmental of other races until he is confronted with the fact that now during the full moon he turns into an out of control black man who is stereo typically everything a menacing thug is portrayed to be. When I found out that the Werenigro is part of a bigger conspiracy, the twist and turns that the main character takes continuously demonstrates that every time you think you understand what is going on in the world you are confronted with a new twist. The Werenigro is a tale of Consciousness, brutal truths that span time through ancient history to who knows what into the possible future. 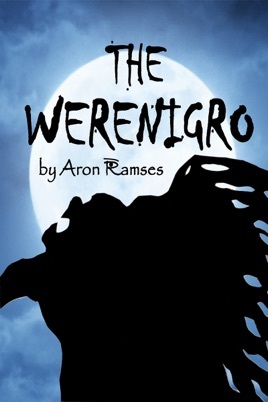 The Werenigro is very interesting, the characters are dynamic and well thought out. I have NEVER read a book like this before. A true breath of fresh air for the predictable Science Fiction Community. Aron Ramses is a talent to be reckoned with for many years to come.